Question 5: How does remembering the big picture help you protect your marriage? This year, Joni and Friends celebrates 35 years of ministry, transforming lives for the disabled population around the world. Forty-seven years ago, a young woman was lying in a hospital bed, bewildered about life and faith after a paralyzing accident. Although being an Olympian was probably not one of her considerations, Joni chose the mind-set of an athlete-to run the race before her, to set aside her body's condition, and to embrace God's call on her life. The Olympic Games are infused with anticipation and excitement. Incredibly conditioned athletes from around the world come together to compete, captivating our attention and appealing to our longings for global friendship. But what makes an Olympic athlete? Is it agility, a developed skill and ability, the competence of a competitive coach, or is there more behind those monumental moments of success? As the games unfold, so do some of the most incredible stories of determined, tested, tried individuals who made the choice to stay the course; to discipline their bodies and minds year after year. That is the making of an Olympic athlete. The games reveal the mind-set of an athlete . . . focus, perseverance, resolve, fortitude, willpower, grit, and yes, some natural abilities. And like an athlete, she rises to each challenge, choosing to endure tests, trials, and painful setbacks. She remains focused on the prize, the crown of glory awaiting her in heaven. Joni and her husband Ken are spiritual athletes, determined to stay the course and finish well. May we all celebrate this outstanding ministry, their commitment and devotion to Christ, and find inspiration as the story of their lives unfolds before us all. In God's economy, life isn't about our body's ability or inability to finish well but about our commitment to character development and the call He has for us. Perhaps you have never considered yourself as an Olympian, but you are if you know Jesus. Even in suffering, there is hope if we choose to depend on Christ and place our lives in His sovereign care. But we cannot do it alone; we must support one another. Are you feeling faint, on the sidelines, or wanting to give up and let the games pass by? I'm pulling for you, and I'm cheering you on; let's get back into the game and determine to cross the line finishing well. Joni Eareckson Tada, the founder and CEO of Joni and Friends International Disability Center, is an international advocate for people with disabilities. A diving accident in 1967 left Joni Eareckson, then age 17, a quadriplegic in a wheelchair, without the use of her hands and legs. After two years of rehabilitation, she emerged with new skills and a fresh determination to help others in similar situations. Mrs. Tada has served on the National Council on Disability and the Disability Advisory Committee to the U.S. State Department. She has helped guide evangelism strategies among people with disabilities worldwide as Senior Associate for Disability Concerns for the Lausanne Committee for World Evangelization. She has received numerous awards and honors, including the Victory Award from the National Rehabilitation Hospital and the Golden Word Award from the International Bible Society. Joni has been awarded several honorary degrees, including: Doctor of Divinity from Westminster Theological Seminary, a Doctor of Humanitarian Services from California Baptist University, and a Doctor of Humane Letters by Indiana Wesleyan University where she was inducted into IWU's Society of World Changers. Joni has written more than 50 books. She has received the Gold Medallion Lifetime Achievement Award from the Evangelical Christian Publishers Association. Joni's latest book is Joni & Ken: An Untold Love Story published by Zondervan. Since 1982, Joni has been hosting the short-feature radio program Joni and Friends which is aired on more than 1,000 outlets. In 2012, the National Religious Broadcasters inducted Joni into its Hall of Fame. In 2012 The Colson Center on Christian Worldview awarded Joni its prestigious William Wilberforce Award. She has been interviewed on Larry King Live, ABC World News Tonight, and in magazines such as Christianity Today and WORLD. Joni and her husband, Ken Tada, have been married since 1982. 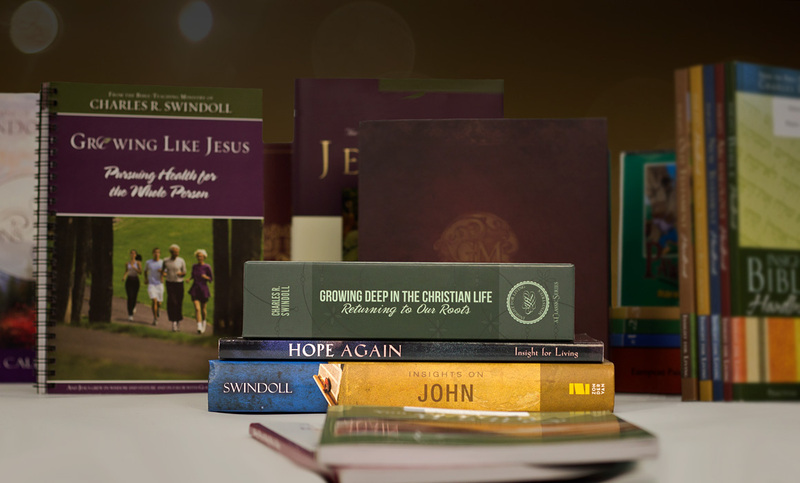 How has the Joni & Friends ministry changed over the last 35 years? How has God used the daily challenges of quadriplegia to answer your prayers? How have you managed to live with daily suffering? Ken, how has marriage impacted your spiritual maturity? What is beyond suffering and how does it fit into the mission of Joni and Friends? How are caregivers similar to Olympic athletes? How do you encourage others who are caregivers? How do you keep your positive attitude when serving in ministry? What does it mean for a Christian to "finish well"? When you paint, are you "right-mouthed" or "left-mouthed"? Do you have words of encouragement for caregivers?